Homepage / autos / Audi Q8 Concept: An SUV in Coupe’s Clothing? 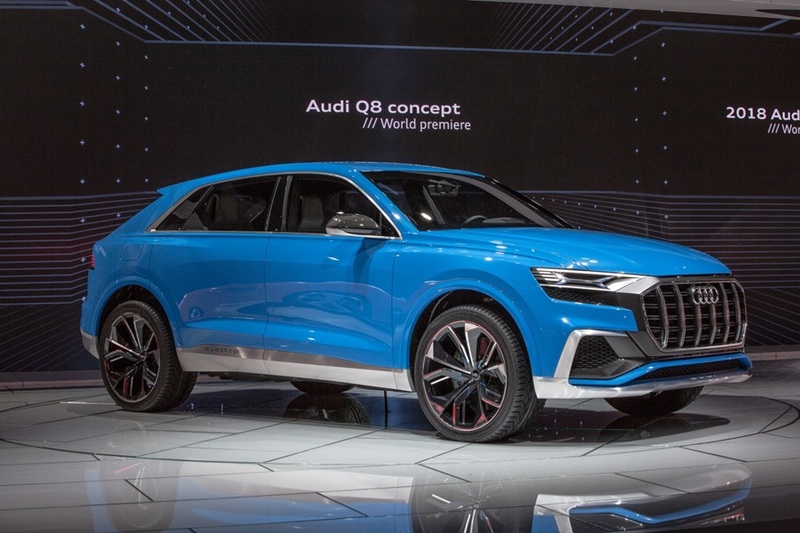 Audi Q8 Concept: An SUV in Coupe’s Clothing? Much like other luxury brands, Audi has a plethora of SUVs to choose from. This ranges from the smallest Q3 to the people hauling Q7. What Audi doesn’t seem to have is an SUV that skirts the line between utility vehicle and good looking coupe (think Mercedes GLC/GLE Coupes or BMW X4/X6). Audi might aim to bridge that gap in their lineup with the Q8 concept which debuted at the North American International Auto Show (NAIAS) in Detroit. Personally, the first thought that comes to my mind when someone mentions an SUV Coupe is the infamous episode of Top Gear when they tested the new (at the time) BMW X6. They found it to be neither a good offroader/SUV, nor a capable, speedy coupe. Since then, the BMW SUV coupe lineup has grown considerably and even has M performancemodels. So setting aside the initial Top Gear bias, I am left looking at a unique set of vehicles which blend the definitions of traditional vehicles to create unique, good-looking machines.